If you own or operate a commercial kitchen, kitchen exhaust hood cleaning Santa Monica CA is a fact of life. You need to make sure you get frequent and thorough cleanings in order to comply with your fire safety code obligations and reduce the risk of a fire in your exhaust system. Flue Steam can help with every step of this process. 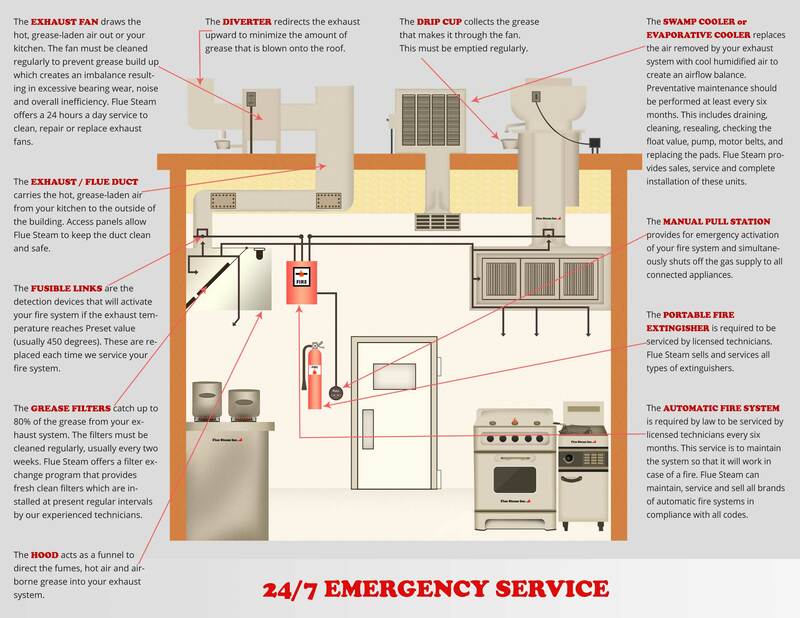 When to get your kitchen exhaust hood cleanings depends on what types of foods are cooked in your commercial kitchen. The more meats or fried foods you cook, the more vaporized grease will end up in your exhaust system, and the more frequently you will need to invest in kitchen exhaust hood cleaning Santa Monica CA. 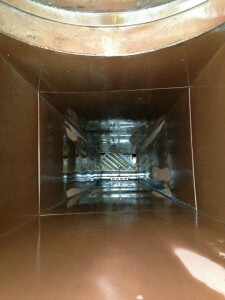 Most fast food kitchen exhaust systems need to be cleaned monthly. At Flue Steam, our hand scraping service provides an economical way to deal with grease buildup on the most visible part of your exhaust system, namely the hood. We recommend pairing this service with a more thorough steam cleaning of your entire exhaust system two to four times per year, depending on how fast your grease deposits accumulate.